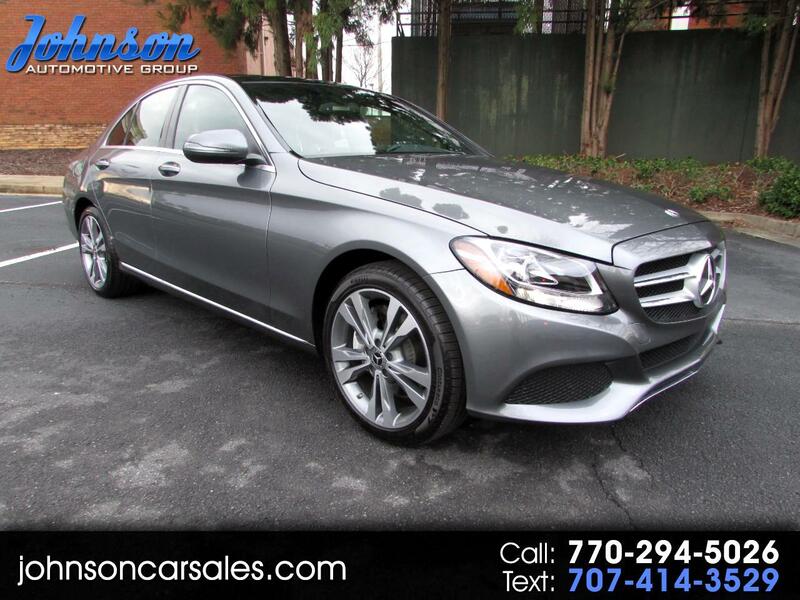 Used 2018 Mercedes-Benz C-Class C300 Sedan for Sale in Duluth GA 30097 Johnson Automotive Group, Inc. Original MSRP $45,270, Carfax Value of $32,870, our price $29,988. This luxurious and well equipped Mercedes C300 is like new inside and out, and under full factory warranty. Selenite Grey Metallic exterior, P01 Premium Package, Keyless-Go, Blind Spot Assist, Hands-Free Access Package, Rearview Camera, Rear Spoiler, Panoramic Sunroof, Navigation, Heated Front Seats, and much more. If you have any questions please contact Scott at 770-294-5026 or 770-495-8400.